Since 1906, Blessing has had a clear understanding of the transformative change music can make in a person. Established in 1906, E.K. Blessing began as a family business and quickly recognized what was essential to the music community: a sense of support, security, and shared values. The E.K. Blessing Company honored relationships by listening to their customers and adjusted to the changing times of the 20th century. Blessing believed that a musical experience could change a life and a musical education could bring purpose to a life. This belief was demonstrated by providing quality musical instruments that were affordable and accessible. As a family business, Blessing helped create products that offered people a connection to others and the feeling that they belonged to something unique and special. Today, St Louis Music owns and operates E.K. Blessing Brass & Woodwinds. The core principles of the E.K. 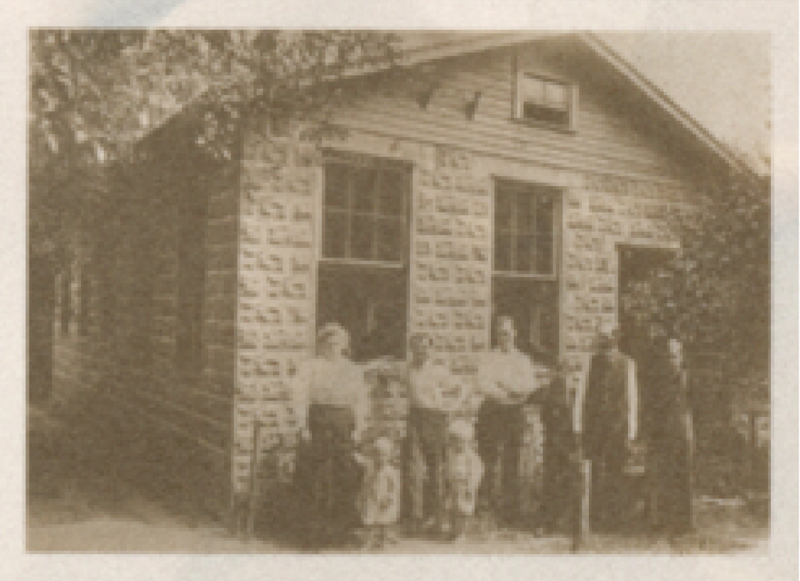 Blessing family business are still at work 112 years later. Blessing is a trusted and reliable brand name that offers a solid foundation for growth. Why Blessing? Blessing has the generational experience to understand the transformative change music can make in a person. We are here to encourage and guide that journey. A young immigrant comes to the USA in search of a better way of life and build a legacy. Emil Karl Blessing was born in Oppelsbohm, Germany a small village near Stuttgart in 1880. He emigrated to America in 1895 at the age of fifteen. In the late 1890’s, Emil began working for Gus Buescher in Elkhart, IN specializing in improved piston valve designs. As early as 1901 he was building brass instruments on a small scale. By 1903, he was working for Frank Holton in Chicago. His reputation grew as a toolmaker and for his artistry in crafting valves. Blessing begin his own business from a small garage in Elkhart, Indiana in 1906, making brasswind valve assemblies. Production of trumpets and cornets would follow. Several early design features like octagonal outer valve casings, caps, and buttons influenced other makers including Schilke and Getzen. demand for his popular cornets, trumpets, and trombones. His sons, E. Karl, Jr. and Fred, both accomplished musicians, joined their father in the family business. Their old-world craftsmanship and tooling expertise gained momentum… a momentum which would catapult Blessing to a place of preeminence in the music world during the coming decades. During World War II, Blessing helped the war effort by producing parts for planes and artillery. With the dawn of the Big Band Era, Blessing was producing instruments to meet the demand of growing wind instrument culture in America. In 1940, the Blessing factory was erected at its West Beardsley Avenue location in Elkhart, and master craftsmen were now making instruments in a progressive manufacturing environment with modern precision capabilities. The Blessing name had become a hallmark of the music world in America. 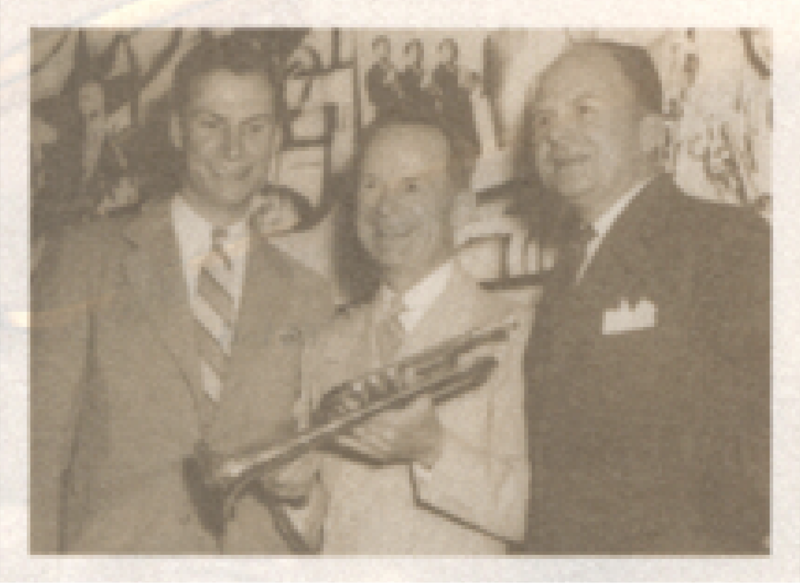 Big Band luminaries such as Muggsy Spanier, Bob Crosby, Horace Heidt, Ted Lewis and others endorsed Blessing trumpets and comets. The Blessing professional model “Super Artist” trumpet was introduced and later became the preferred trumpet of choice of legendary jazz trumpet artist, Clifford Brown. 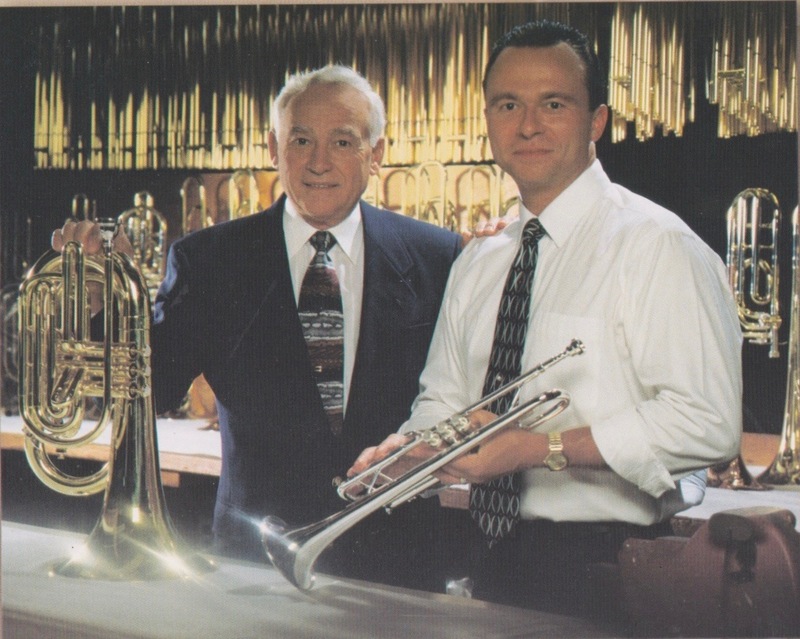 Blessing built professional model brasswinds during this era but saw an early opportunity and developed as a leading student and step-up manufacturer. The 1950’s marked a period of accelerated production, enabling Blessing to manufacture trumpets and cornets for other musical instrument companies under various brand names -giving some present-day competitors their start in the brasswind business. Emil Blessing ran the company until his passing in 1954 and was succeeded by his son, E. Karl Blessing, Jr.
trigger trombones and marching brasswinds. By the early 1970s, the export business grew and the Blessing brand name gained recognition throughout the world. In 1974, the company’s flute line was introduced. Blessing became a full line band instrument manufacturer offering both woodwind and brasswind models with a strong emphasis on the school music trade. In 1978 Randy Johnson, the great grandson of E.K. Blessing, joined his father in the company. XXIII Olympiad in Los Angeles. Blessing built 100 Model B-175 Artist Herald Fanfare Trumpets for the event that were featured on the John Williams fanfare along with “Fanfare for the Common Man”. 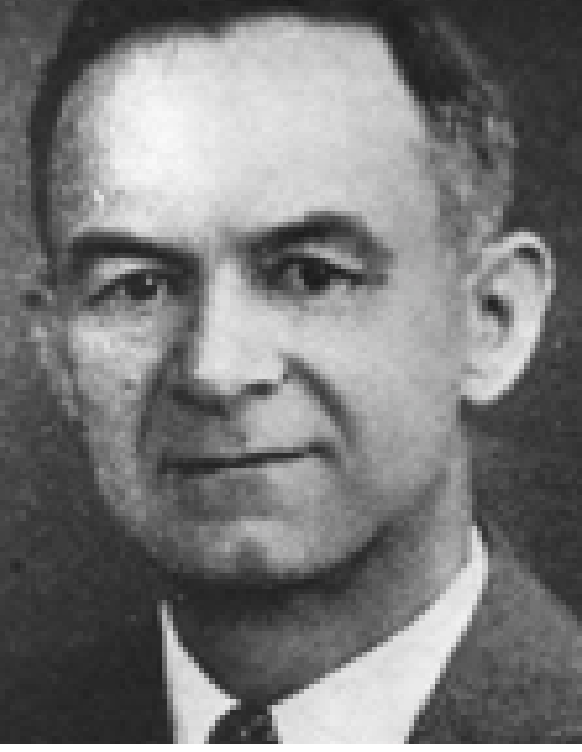 Merle O. Johnson, son in law of E.K. Blessing with his son, Randy Johnson. Randy followed in his father’s footsteps succeeding Merle Johnson’s retirement to take the lead as president in 1996. Blessing stood at the vanguard of musical value and integrity as the oldest family-owned musical instrument manufacturer in Elkhart at the turn of the 21st century. By 2000, Blessing employed one hundred craftsmen in three manufacturing buildings on West Beardsley Avenue, on Elkhart’s northwest side. By 2006, Randy Johnson was at the helm of a family business that had lasted a century. changing world economy that impacted instrument manufacturing and education. As a result, Randy Johnson sold E.K. Blessing Inc. to Verne Q. Powell Flutes, Inc. in 2009. Under Powell ownership E.K. 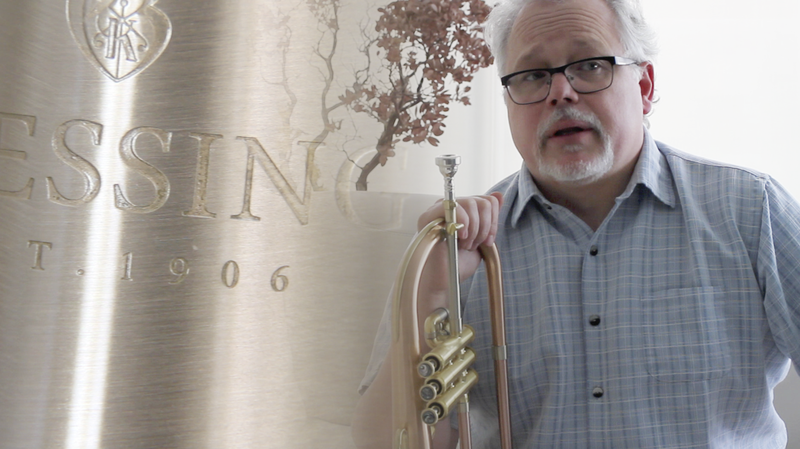 Blessing completely redesigned its student trumpets introducing the student model BTR-1266 and BTR-1277. Powell created a new line of intermediate trumpets including the BTR-1460 which is still offered today and introduced the first professional model Bb trumpet made by E.K. Blessing since the 1960s, the BTR-1580. Blessing had re-entered the professional market with several high profile professional musicians playing and endorsing the brand including the late Lew Soloff. improved version of the popular 1541 Flugelhorn. Our core values at St Louis Music are in sync with Emil K. Blessing and his family. Today, Blessing continues to offer quality musical instruments that are both affordable and reliable. With a century of experience, we provide a true value that will enhance a student’s musical experience and ability to succeed in a school music setting. Blessing continues to add to its legacy. We invite you to try a Blessing today. Our story continues with you.